PHONE 09 270 0775 FOR A FREE QUOTE. Wayne or Chris are happy to discuss your requirements. 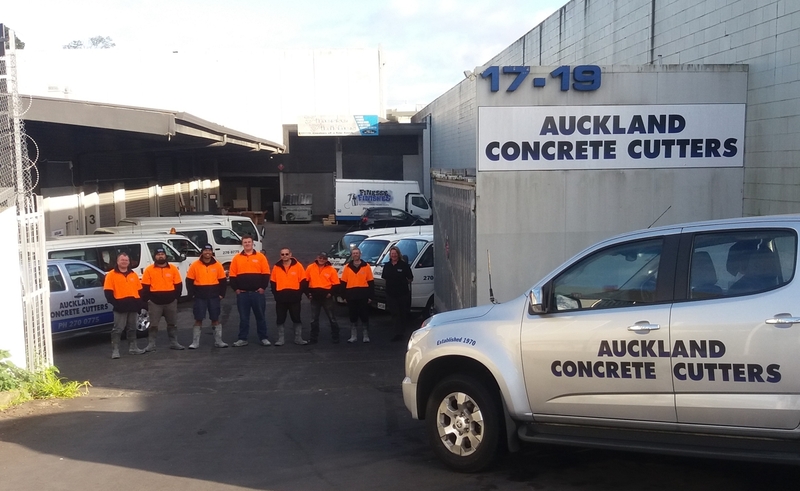 Based in Otahuhu, Auckland Concrete Cutter’s aim is to provide the best possible service in all areas of concrete cutting and drilling, supported by our excellent team of operators and contractors. We are happy to take on any form of concrete cutting or drilling from residential foundation cuts, decorative cutting right through to drilling on commercial or industrial sites. We provide the highest level of expertise and support and have built up an enviable reputation over 40 years within the Auckland region by being reliable and providing an expert service that is cost effective. With our ongoing training and reassessments we aim to deliver the best possible concrete cutting and drilling service on site and offer a prompt and friendly response to all customer’s requests. From 1 small expansion cut round the back of the house, to 1 or 2 holes drilled for Plumbing or Air Conditioning, to larger Construction Projects, to Major Road/Highway Infrastructure, Factory or House Slabs, Driveways, Foot Paths, Decorative Cutting, Wall Cutting and Drilling etc. 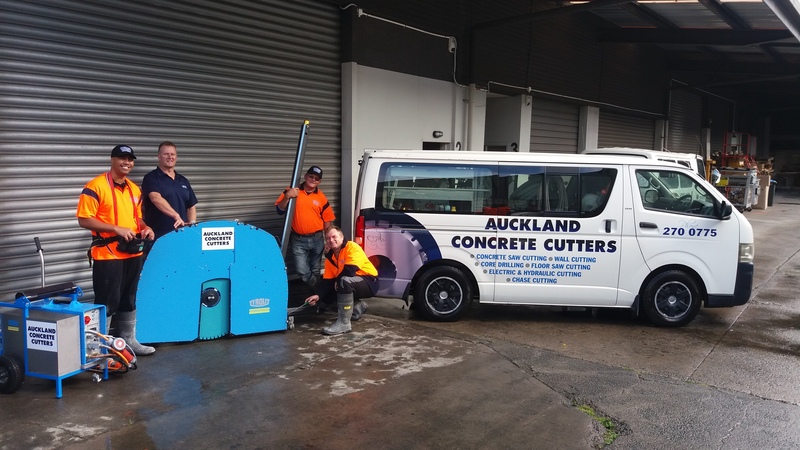 You can rely on Auckland Concrete Cutters to produce professional results, no matter what the situation. 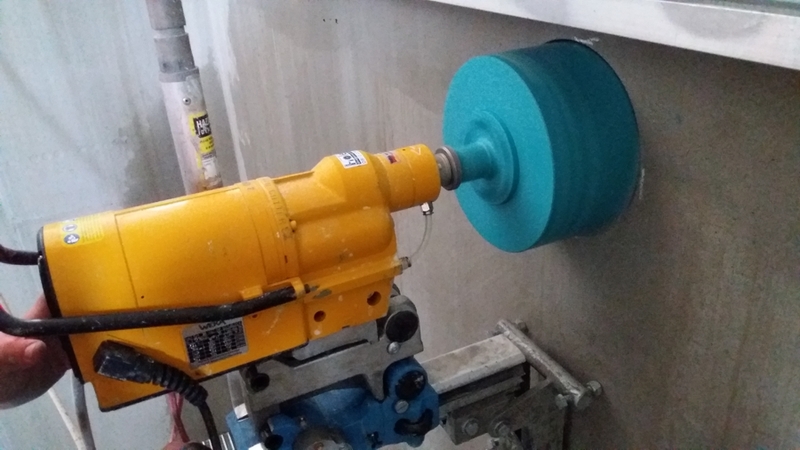 We can cut to 400mm deep in the floor, 500mm to 700 deep in the wall, drill up to 450mm diameter holes in the floor or wall. We can supply Power and Water to your site if it is not already there. We can remove all Concrete (including Slurry), also Brick or Block from your site as well. We can offer a Fume free environment using our Electric or Hydraulic Equipment if Safety is an issue or Food or Stock items are at risk of contamination. We can supply Scaffolding if the work required is at height, or if it’s a confined space we have Certified staff for these conditions. AUCKLAND CONCRETE CUTTERS ARE PRE-QUAL AND SITE-WISE FULL HEALTH & SAFETY POLICY ACCREDITED.